To see how things work, let’s start with a very simple customisation. 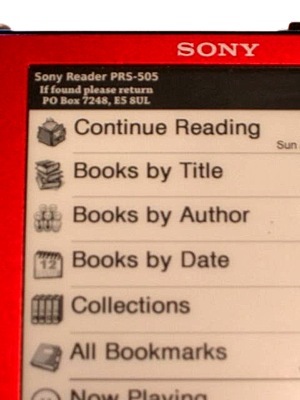 At the top left of the kBookAssets.png image is the word ‘Reader’ which appears on the main screen. Although you can put your name and other information on the About screen, people will have to hunt for it. So, we’ll replace the Reader logo with some contact details. You need to create an image that’s 210 pixels across, and 70 high, with a black background. We’ve put the name of the reader, and a PO Box address, in case it’s found and someone wants to post it back. You can put whatever you want in there, but remember there’s limited space. Now, open kBookAssets.png, and paste the new image into the top left, over the word ‘Reader’. Save the file and then copy it into the appropriate place for your reader’s model and firmware, in the folder where you extracted the Universal Flasher. Now, find a blank SD card and copy everything in the Universal Flasher folder to the root directory of the card, then slot it into the Sony Reader. When the display appears, press 5 to create an image from the files on the SD card. 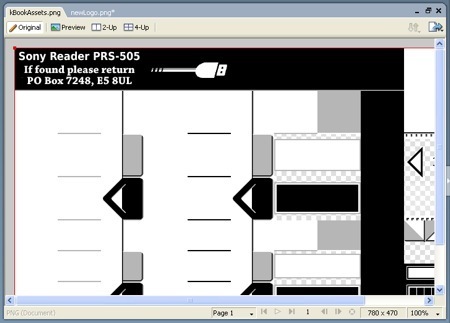 Once the image has been created, press 6 to flash it to the Reader; after a pause, it will reboot, and you’ll see the new logo at the top of the main screen. Replacing the icons and fonts is done in a similar way – files you put on the card replace those already on the Reader. After flashing, our Reader has a return address visible on the main screen. The software that’s supplied by Sony is Windows only, but that doesn’t limit the reader to just PC users. 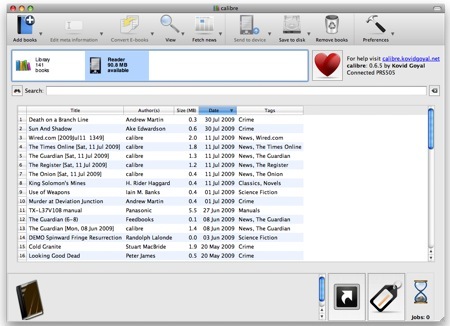 An open source tool called Calibre is available for Linux, Mac OS X and Windows. As well as providing tools for managing your library of documents, it can also fetch websites and format them for the reader, and convert documents between formats. 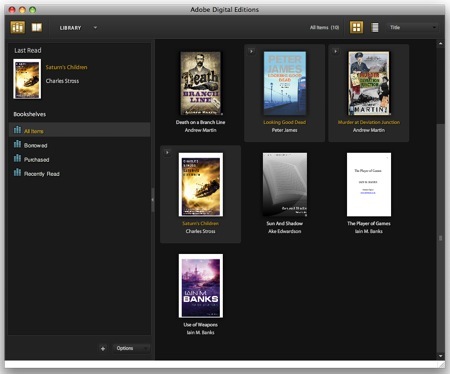 If you want to use DRM books, such as those sold by Waterstone’s eStore and you use a Mac, you’ll need to register for an Adobe ID first, then spend some time on a PC with the Digital Editions software installed. Use that to authorise your reader with the ID, but don’t transfer any books – the Mac version of Digital Editions can’t authorise the Reader. Once the authorisation is done, you don’t need a PC any more. You can use the same ID in Digital Editions on the Mac, and use Calibre to transfer the DRM-protected ePub files from the Digital Editions folder on to your Reader.